Who says that size is the only thing that matters? The small home movement is revolutionising the way that we live, and people from all walks of life are choosing to build or buy compact homes to save on space and maximise living potential. Compact homes are the result of forward-thinking, innovative design by expert builders and designers, and have become a sound investment in the West Australian real estate landscape. The team at Form Homes believe that space efficient housing is the way of the future – and compact homes can be created and constructed to suit the needs of any individual, couple or family. Whether you are looking at building or buying a compact home for lifestyle or financial reasons, a small home is the ideal choice for those searching for sustainability, affordability, and efficiency. For those wishing to downsize from their current home or rental property, a compact home can be the perfect option. Compact homes are ideal for older couples or singles. Less space means less cleaning and maintenance, and compact homes can be designed to specifically meet the needs of those getting on in life – incorporating a single storey, open plan design with an outdoor area, space for a garden, and accessibility around and throughout the home. Small eco-friendly homes are also ideal for families with teenagers or adults that haven’t taken the plunge and moved out yet. 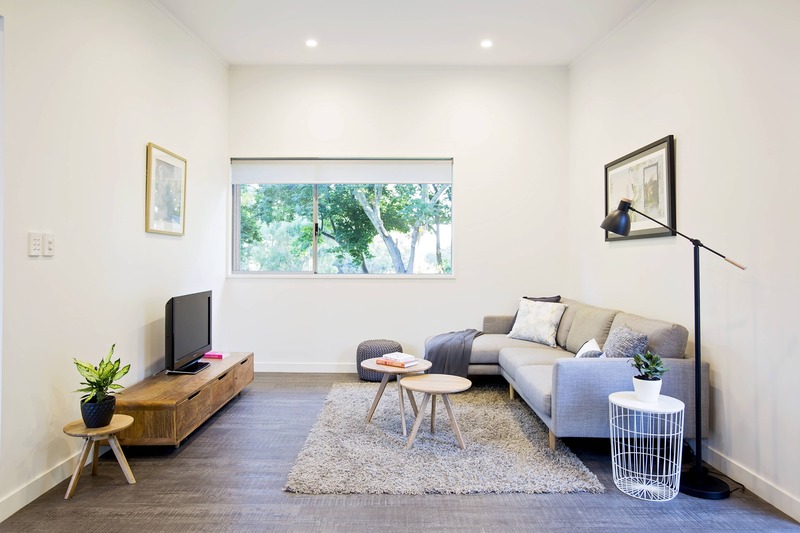 Tensions can run high in families with teenagers, and investing in a compact home or granny flat can be an excellent solution to ensure both the kids and the parents get their own space and privacy. For kids that have reached the ‘adult’ stage but don’t quite have the money or confidence to leave home yet, a granny flat can be a great way to give them some privacy and space, as well as give them some independence – they will be running their own household, but you’ll be there if they need anything. Granny flats and compact homes are also a great solution for households with large families or busy social lives, and often have relatives or friends to stay. Rather than kicking one of the kids out of their bedrooms for the weekend or setting up the lounge room for your guests, why not give them their own space and privacy? Compact homes are the perfect guest houses, and can be designed to fit specific needs and include fittings like bunk beds, an entertaining area, lots of storage, and an open plan living space. Form Homes create and build innovative, functional, eco-friendly and efficient compact homes in Perth. Their designs are sophisticated and created with space and affordability in mind. Form Homes’ experienced and friendly team is passionate about creating compact homes that suit the needs of any individual, couple or family, and advise their clients with liveability in mind. Get in touch with Form Homes today to talk about investing in your first (or second, or third!) compact home – we can’t wait to chat.